Set in the Imperial Crown of five 4000m peaks, Zinal is a traditional village at the head of the Anniviers valley, just two hours from Geneva and 30 minutes from Sion. Zinal is situated below a glacier and is the last village in the valley Val D'Anniviers, 36 km south of Sierre and across the valley from Crans Montana. With only 200 locals and room for 3,900 visitors in resort, Zinal offers a quaint feel, quiet slopes and minimal queues. Off the slopes there’s a range of restaurants and bars, and friendly, low-key nightlife, along with an indoor pool. If you are looking to party, then Zinal is not for you, if you are looking for quiet slopes and more than a week's worth of hikable backcountry skiing, then Zinal is very much where to go. 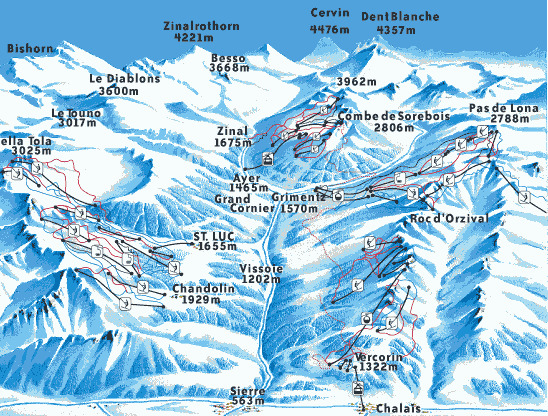 Zinal’s slopes are renowned for their exceptional snow conditions, thanks to their altitude and north-east aspect. A state of the art snow making system allows the resort to open for international races and training from early November. Wide open pistes above the tree-line offer intermediates and advanced skiers plenty of challenge, while the nursery slopes are right by the main mid-mountain restaurant and are easily accessible to non-skiers. The lack of crowds at lifts and on the piste are notable throughout the season. 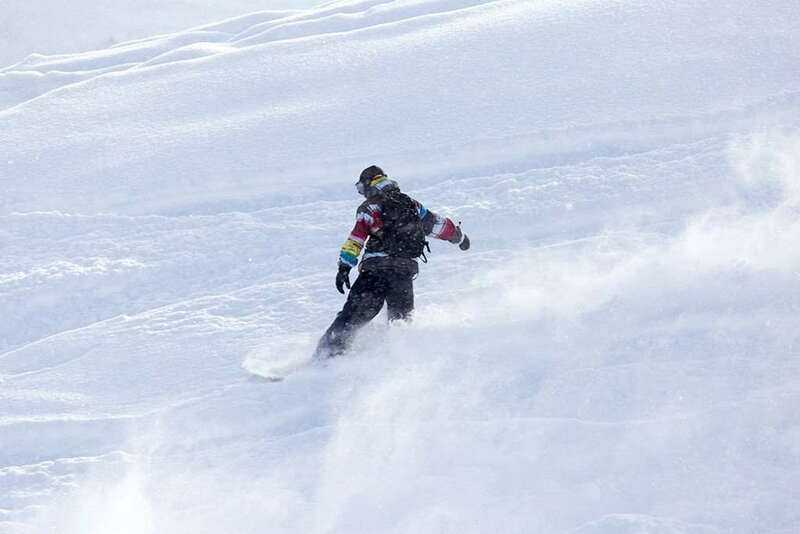 The area also has a reputation for excellent lift-served off piste skiing and has a dedicated 100 hectare freeride area to the south of the domain — the first of its kind in Switzerland. In addition, there’s an Avalanche Training Centre which can be used by all-comers. For those looking to venture further there is fantastic scope for off pistes adventures a short hike from resort. Hiring a guide for a few days is definitely recommended in this corner of Switzerland, with great snow and great access to that off-the-beaten-track experience of skiing out of resort. There is one cable cabin and eight ski lifts connecting 15 pistes, which offer around 70 km of skiing in Zinal, from the easy to the intermediate one which made this resort ideal for families. During the summer of 2012 a new cable car linking Zinal with the nearby resort of Grimentz will be built, doubling the size of the ski area accessible with the same lift pass and offering some sunnier slopes, with picturesque views across to Crans Montana. The lift pass also covers the other resorts in the valley, Grimentz — as mentioned above — St Luc-Chandolin, which is accessible by the free ski bus, and Vercorin. Over 77 snow cannons produces artificial snow across the pistes in Zinal adding to the natural snowfall of the swiss mountain range for more guaranteed skiing during the whole season and toward the end of the season when the snow is at its lowest. There are three international airports accessible via car or bus transfer which are Bern (204km), Basel/Mulhouse (299km) and Zurich (322km) distance from resort.